Make use of the convenient location of the house just a few meters away from the ski bus stop and discover the Stubai mountains. The whole Stubai Valley is a place of power for athletes and families, for young and old, for active people, but also for those who want to turn off deliberately in the unspoiled nature. ... in the rustic Alpengasthof Schallerhof! The Family-run alpine guesthouse is reminiscent of traditional alpine cabin and hut flair, how you can find them all over Tyrol. Over the past 100 years the guests have been served with tasty culinary delights and local dishes in our "Hunters-Lounge". In a calm neighborhood you can find the Alpengasthof Schallerhof approx. 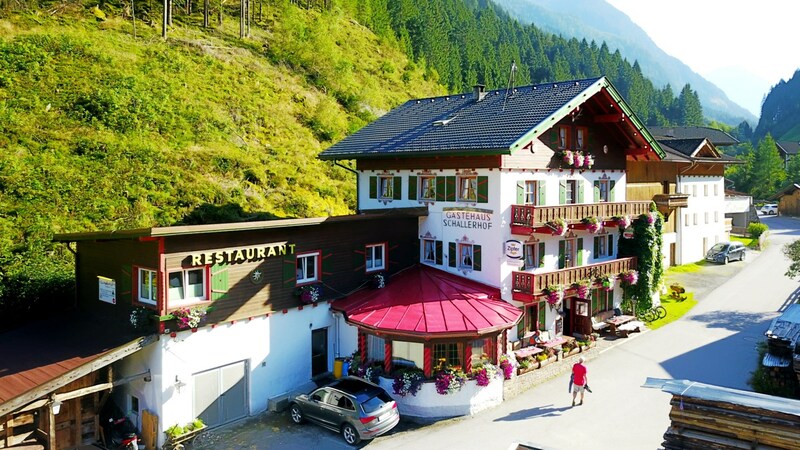 3 km from the centre of the village Neustift (Direction Stubai Glacier - into the valley) in the beautyful Stubai valley in the austrian Alps. Closed in April19 and May19. : 04.04. / 11.04. / 02.05. Let the breathtaking mountain scenery in the summer charm and enjoy the benefits of of the beautifully developed Stubai Alps. With the bus stop and the numerous hiking and mountain biking possibilities right outside the door, the Schallerhof is the ideal location for your holiday! Our restaurant leaves no delights open. Enjoy traditional home-style cooking in the rustic ambience of the over 100-year-old inn. Experience 1x per week our "Dinner without cutlery" - this day is for humor, fun and enjoyment! You want to know how the weather in the upcoming days will be? Here you can find the current weather report for the valley and the mountains. Furthermore, information on the number of open ski lifts.